Perception is reality and nowhere is this truer for us at Whywait Plumbing than when dealing with the issue of hot water temperature and the possibility of a serious hot water burn. Everyone has a different perception of how hot they want their hot water whether it is for cleaning or sanitation or personal hygiene use. Recent research in the United States from the Johns Hopkins Bloomberg School of Public Health, confirms hot water heater temperatures are too high. 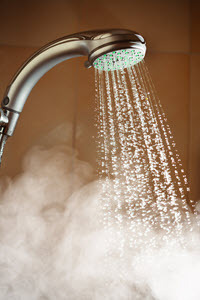 It is estimated a serious hot water burn causes an estimated 1,200 hospital admissions and 50 deaths per year. Young children and elderly adults have thinner skin which burns more quickly putting them at increased risk. However, homes built before 1995 will frequently still have hot water being delivered at 70°C. It is estimated that 37% of homes still have older electric or gas heaters delivering hot water that presents a scald hazard that will cause a serious hot water burn in one second. Frequently these homes are rental properties. 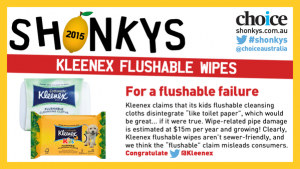 Many landlords and real estate property managers are unaware that recent litigation has placed a ‘deed of care’ onus on them to ensure the safe delivery of hot water in domestic bathrooms used primarily for personal hygiene purpose. The installation of a tempering valve is an acceptable solution to hot water scald prevention. Delivering hot water at a consistent temperature is difficult without a tempering valve. This is due to the fact that as a hot water tank is depleted through use then replenished and reheated, the water temperature will not be constant throughout the tank. Despite a perception by many people, a hot water service thermostat is not designed to provide precise estimates of water temperature. Its purpose is to begin heating when the temperature drops below a set level and turn off when it reaches a set level. Without a tempering valve installed it is almost impossible to assess the exact temperature of hot water delivered from a tap. The advantage of a tempering valve is that guesswork is eliminated as tempering valves are designed to blend hot and cold water to deliver mixed water at a constant temperature and thus reduce the risk of a serious hot water burn. Unfortunately for plumbers, property managers, homeowners and property investors hot water has increasingly become a legal minefield with the duty of care provisions. It is for this reason Whywait Plumbing recommend that you install a tempering valve and maintain it compliantly with annual testing. DIY plumbing renovations are simply illegal. As fully licensed Plumbers, Drainers and Gas Fitters for 40 years at Whywait Plumbing Services we know how critical it is that you know your legal limitations and legal responsibilities. This applies in particular if you are planning on undertaking to do, do it yourself, DIY plumbing renovations and repairs. Unfortunately sitting in front of a television watching home renovation shows such as “The Block”, “Grand Designs”, or “Selling Houses Australia” doesn’t make you an instant plumber, electrician or builder! Home renovations shows are hugely popular and purely entertainment – they make it look so, so easy and so cheap. Unfortunately, none of these shows looks behind the scenes or reflects the reality of renovations or DIY by ignoring the two most critical factors which are time and budget. Can YOU Legally Undertake YOUR OWN DIY Plumbing Renovations & Repairs? And that is all the plumbing and drainage work that can legally be undertaken by anyone who is not a licensed plumber and drainer. 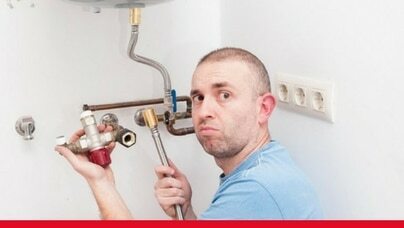 Illegal & Dangerous DIY plumbing renovations & repairs could kill someone plus null & void all your insurance coverage. Most DIY plumbing renovations & repairs are illegal and frequently can be hazardous that when we discover them, you wonder how no one has been killed. 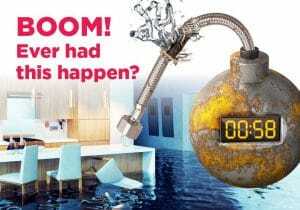 It’s often overlooked by weekend warriors and handymen that illegal DIY plumbing renovations & repairs usually makes your home and contents insurance null and void. You should avoid DIY plumbing renovations as frequently you end up costing yourself more with the problems never being repaired. 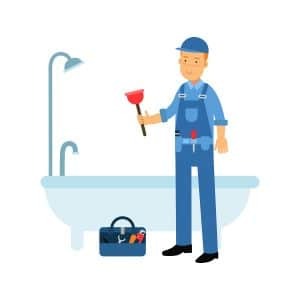 There is no better repair than that undertaken by a licensed, professional plumbing company where the plumbers are experienced, trained, and knowledgeable so call Whywait Plumbing now.